Railpictures.ca - Robert Farkas Photo: CP 5512 is eastbound as it crosses the Credit River in Port Credit, Ontario on October 10, 1986. | Railpictures.ca – Canadian Railway Photography – photographie ferroviaire Canadienne. 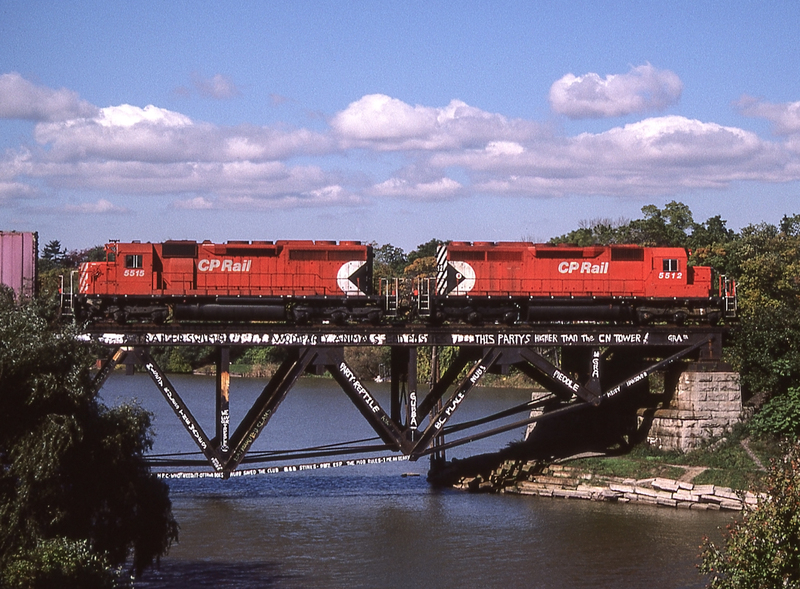 Caption: CP 5512 is eastbound as it crosses the Credit River in Port Credit, Ontario on October 10, 1986.